I've always love Nutcracker Suite Tchaikovsky because it's associated with Christmas which happens to be my favorite time of the year. The music simply brings vivid, colorful and happy images to mind. And during my childhood days, it was such a treat to attend the gala performance in CCP during Christmas Season. This Christmas Season, Bizu Pattiserie brings back this childhood memories with their array of Christmas goodies that takes you on a journey to Tchaikovsky's Land of the Sweets with its Christmas 2013 Collection. And my family loves Bizu so its like having the best of both world- literally. Melchor Crouquembouche. 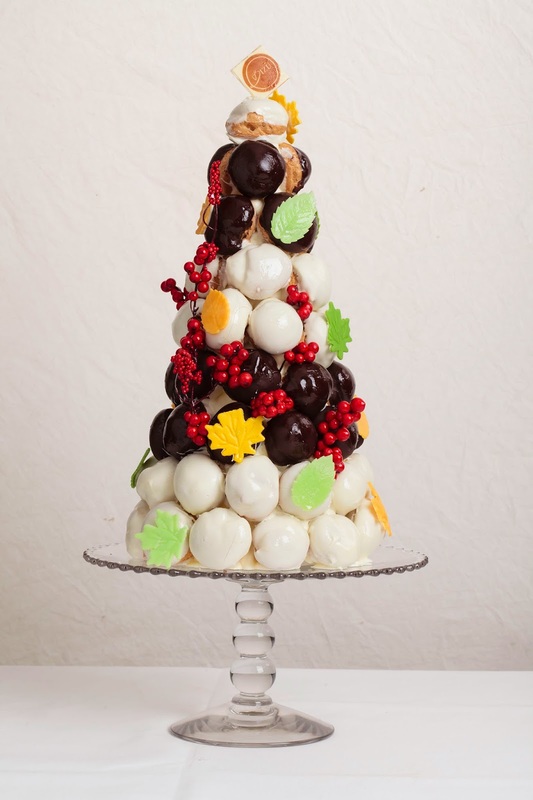 This is a tower of profiteroles filled with pastry cream and dipped in white and dark chocolate. This makes non only a great centerpiece but a conversation piece as well. 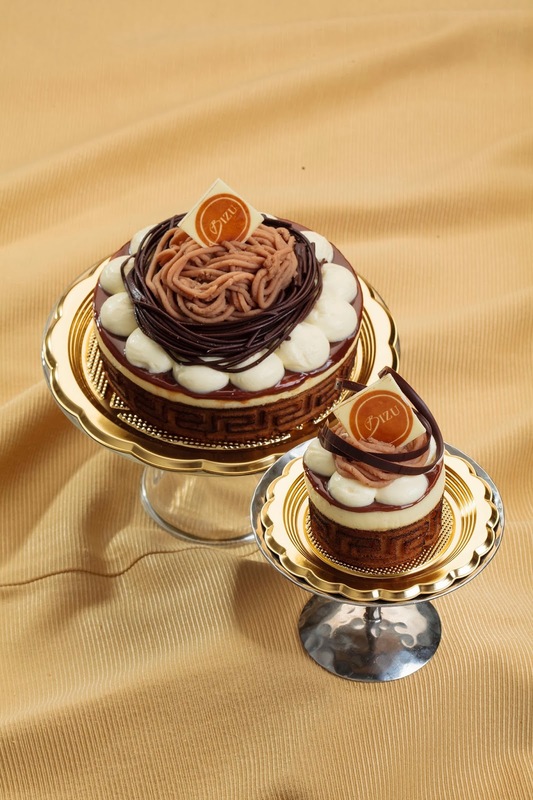 You can choose between and 18-inch with 130 cream puffs tower or a 12-inch tower with 60 cream puffs. 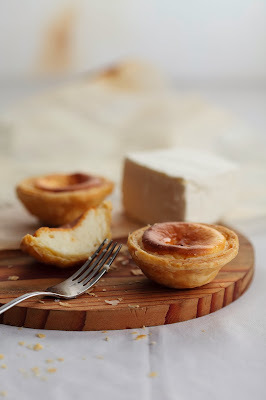 Cheese Tarts. A smooth and dense mascarpone cheesecake over flaky puff pastry is available per piece or in a lovely box of six. This makes a perfect Christmas gift that you can pair with wine. Chestnut Cake. This is one of Bizu's Christmas masterpiece. A combination of chestnut cremeaux, moist speculoos cake and caramel glaze topped with chesnut cream. Other Christmas goodies are also available and for more information you can visit their website - Bizu Christmas 2013. This Christmas, celebrate the taste of joie de vivre only at Bizu. To order, email: concierge@bizugroupe.com or call 845-0590 to 93.Visit Bizu Pattiserie branches near you. Greenbelt 2 (757-2498), One Rockwell Tower (478-7755), Greenhills Promenade (724-2498), Alabang Town Center (809-2498), St.Luke's Global City (823-6621) and Le Petit Bizu Robinsons Magnolia (467-0670).